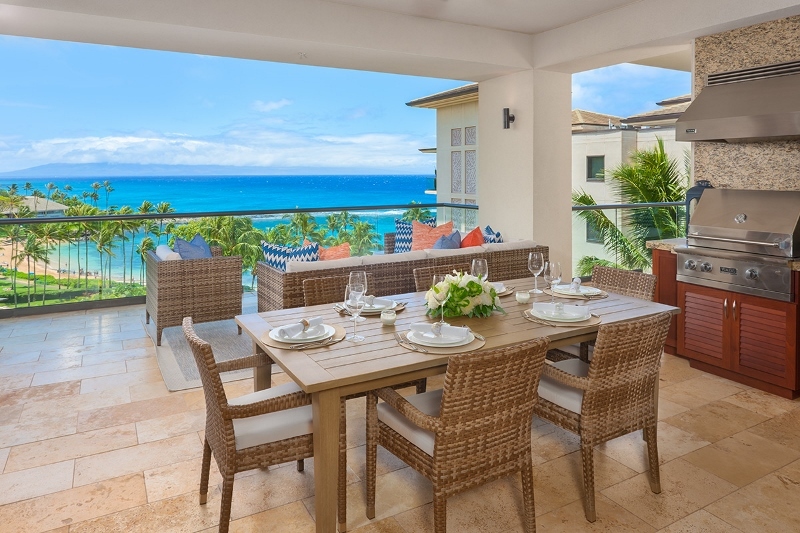 Pacific Pearl Grand Residence 5401 at Montage Kapalua Bay – Luxury Vacation Homes, Inc.
Pacific Pearl Grand Residence 5401 at Montage Kapalua Bay is a 3.5 bedroom (3 bedrooms + sleeping den) / 3.5 bath (3 full en-suite baths + half bath powder room) property for up to eight (8) guests (not counting children under 2 years) with more than 3,000 square feet. 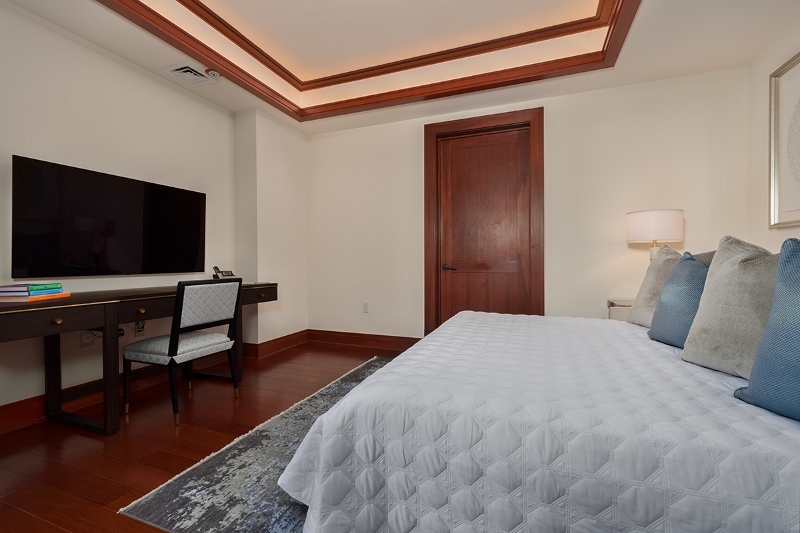 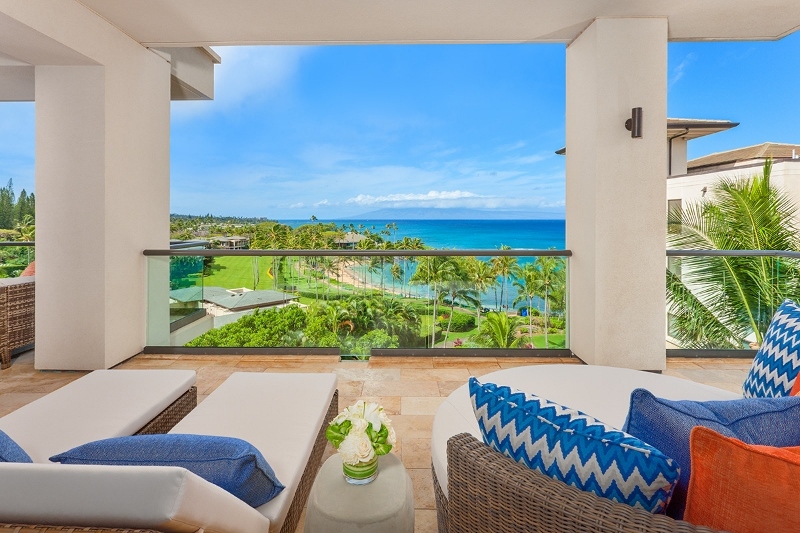 It is a 4th floor unit (out of 5 floors) set within Montage Kapalua Bay resort in the prestigious building 5 location offering direct oceanfront views of Kapalua Bay and Beach. 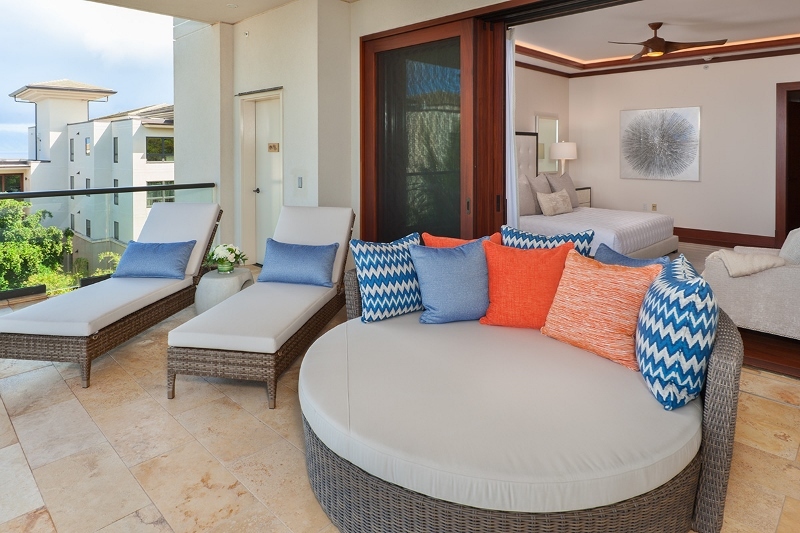 Guests can descend to the beach via their own semi-private elevator and walk out of the ground floor of the building to the beach or around the corner to the cascading swimming pool and hot tub oasis in the courtyard of the resort. 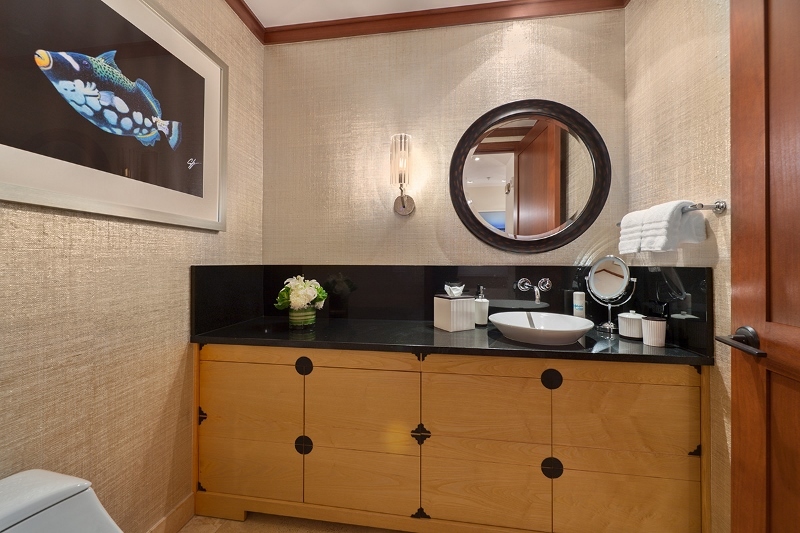 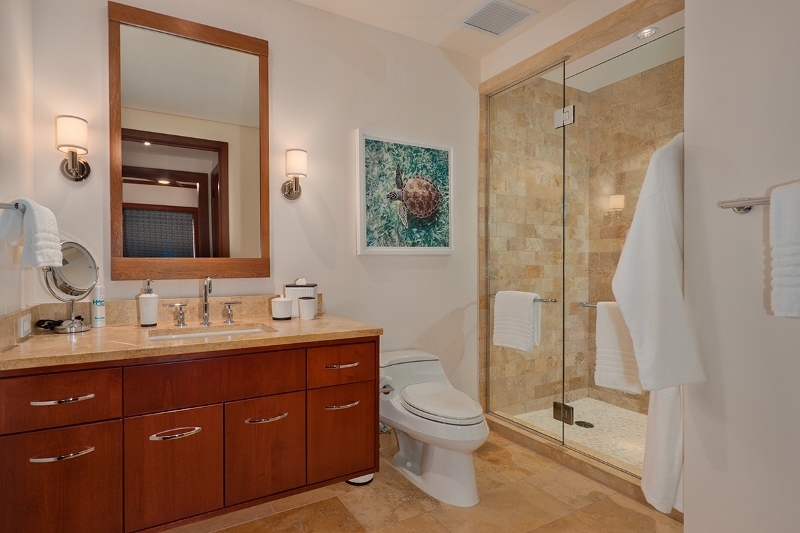 Guests who choose Pacific Pearl Villa 5401 will receive complimentary daily housekeeping and complimentary access to Spa Montage (for guests 16 and older)! 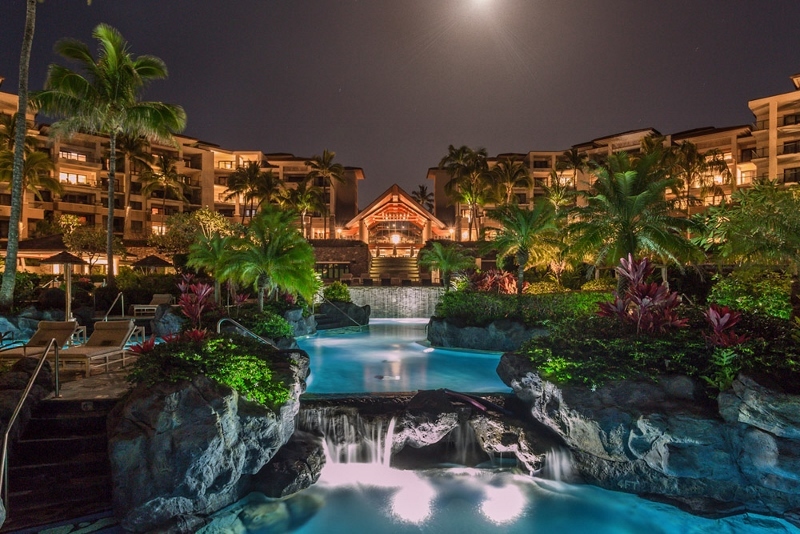 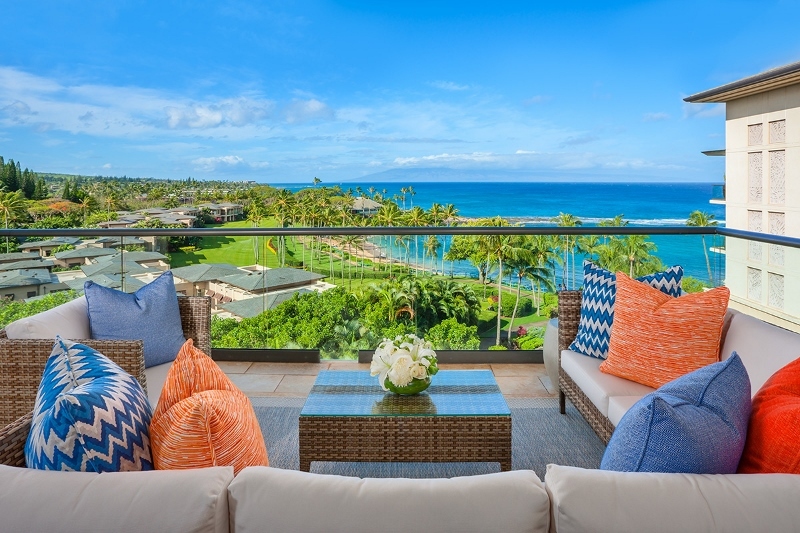 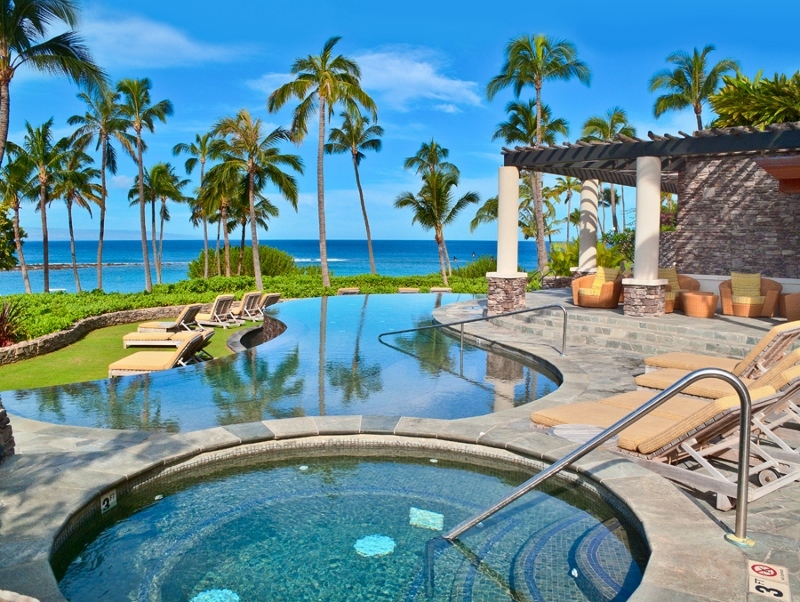 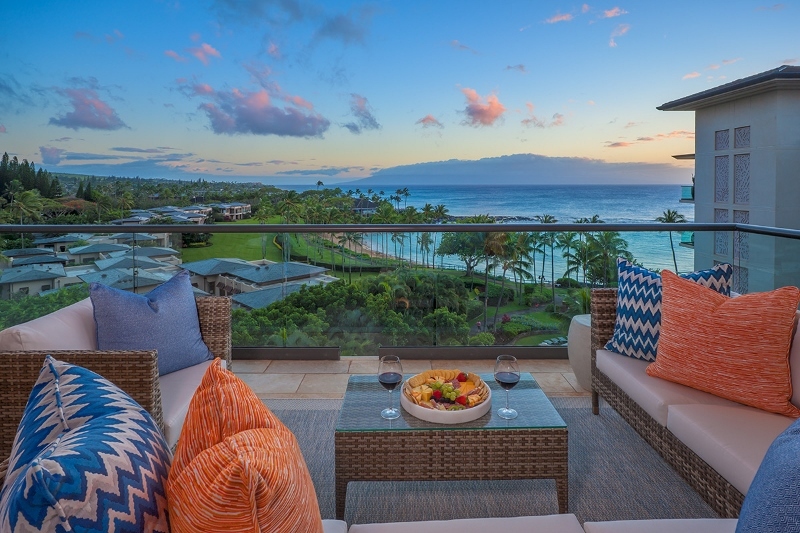 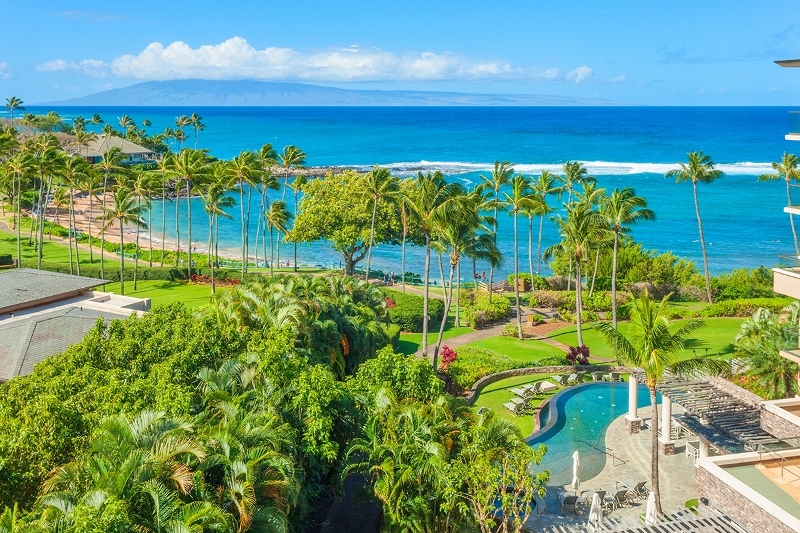 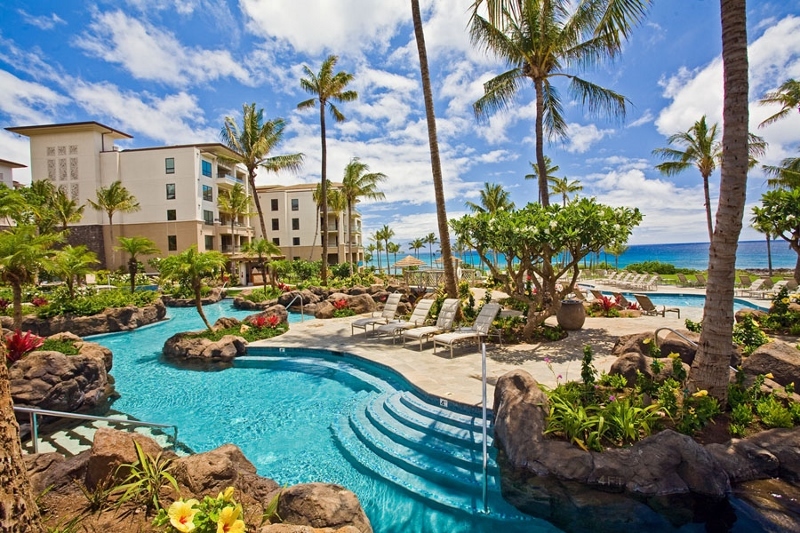 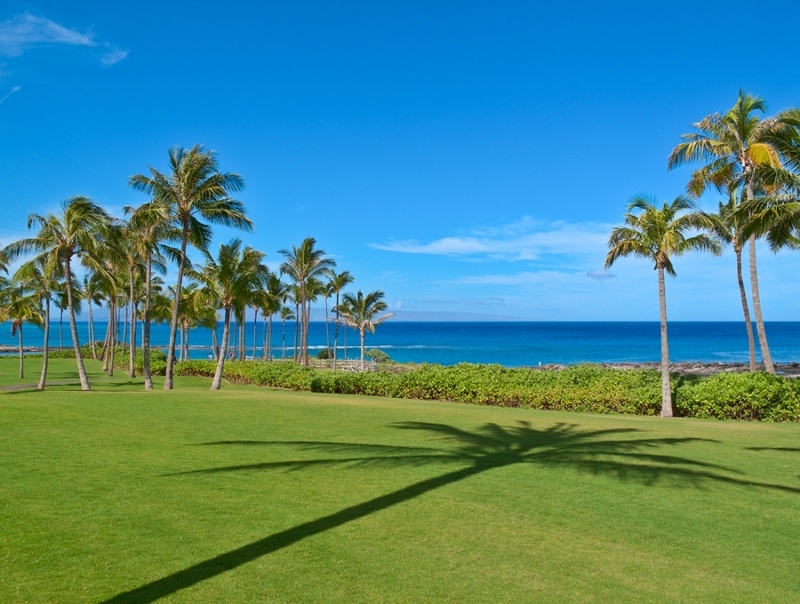 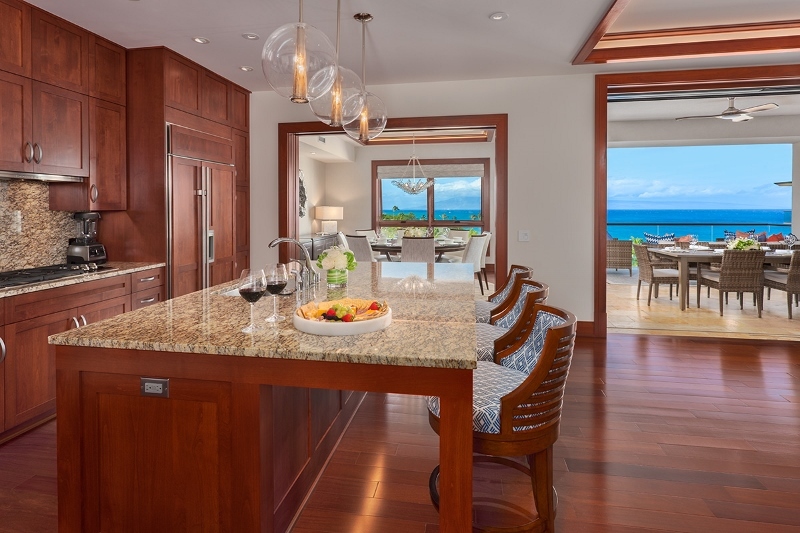 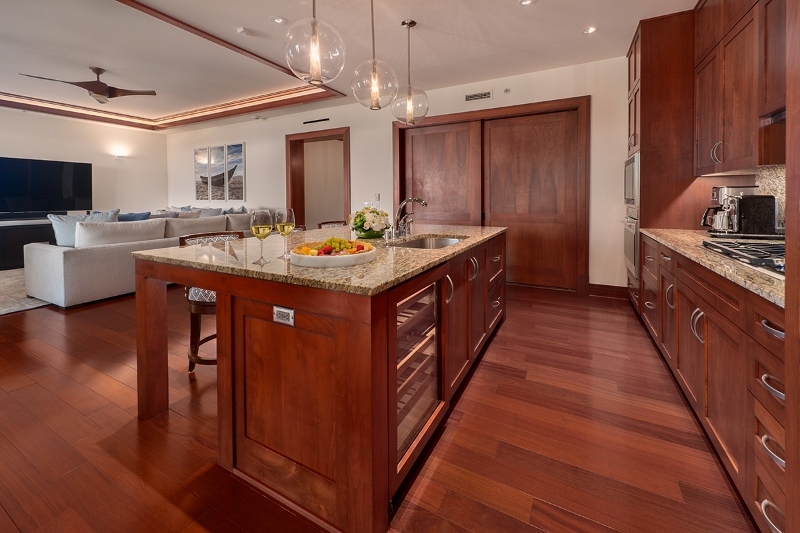 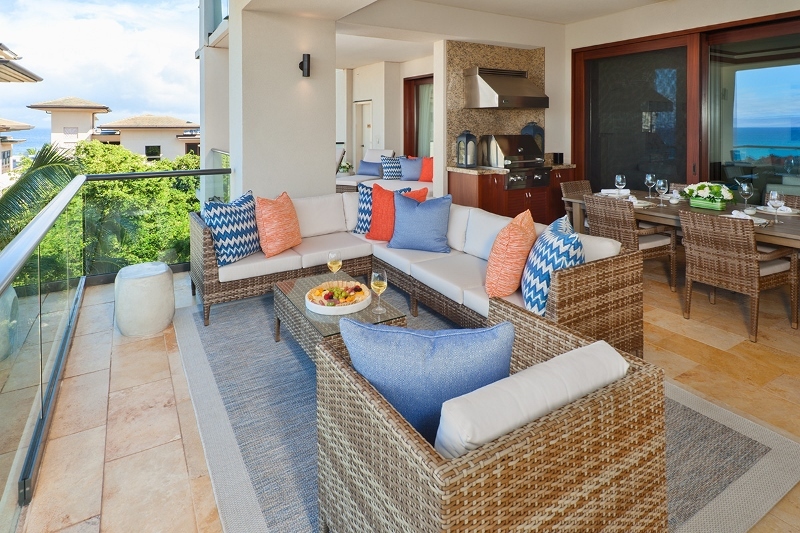 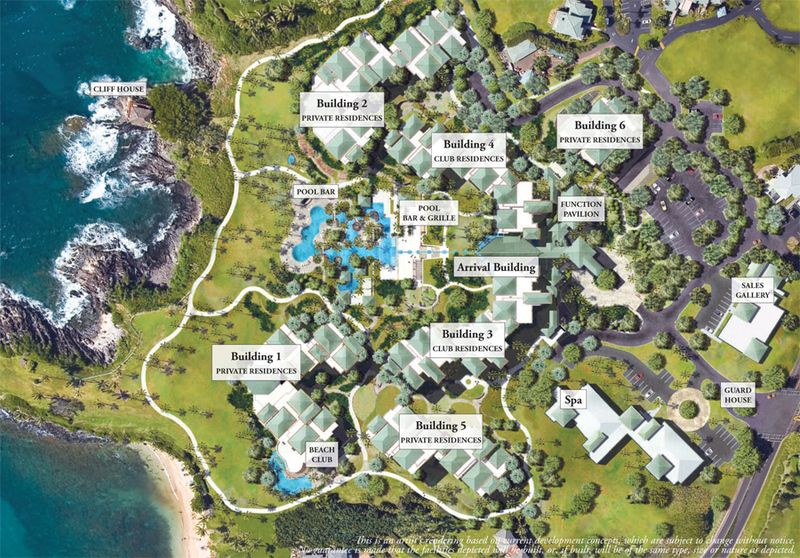 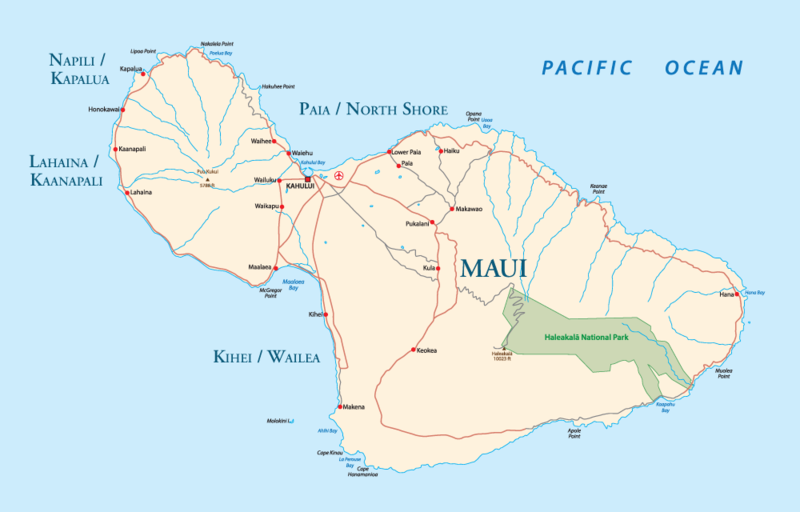 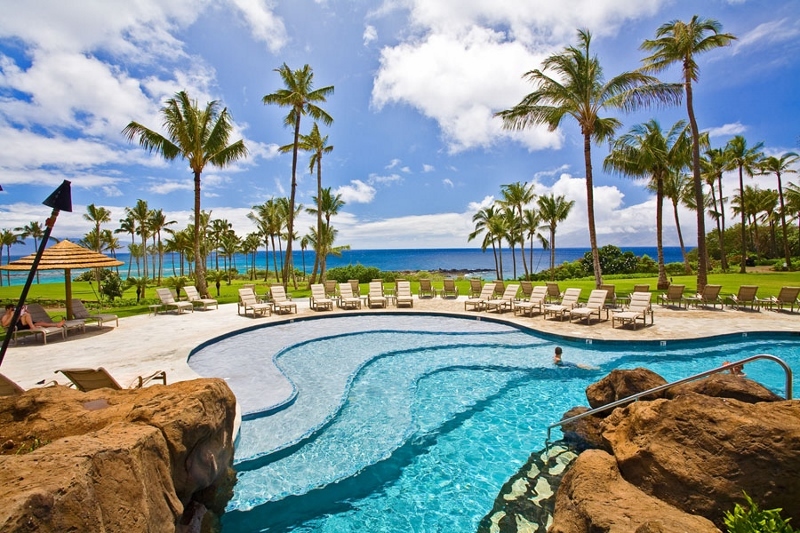 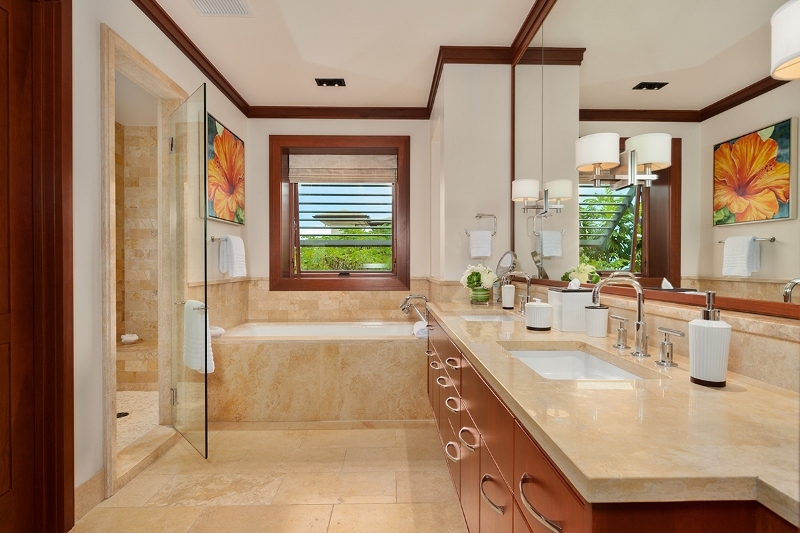 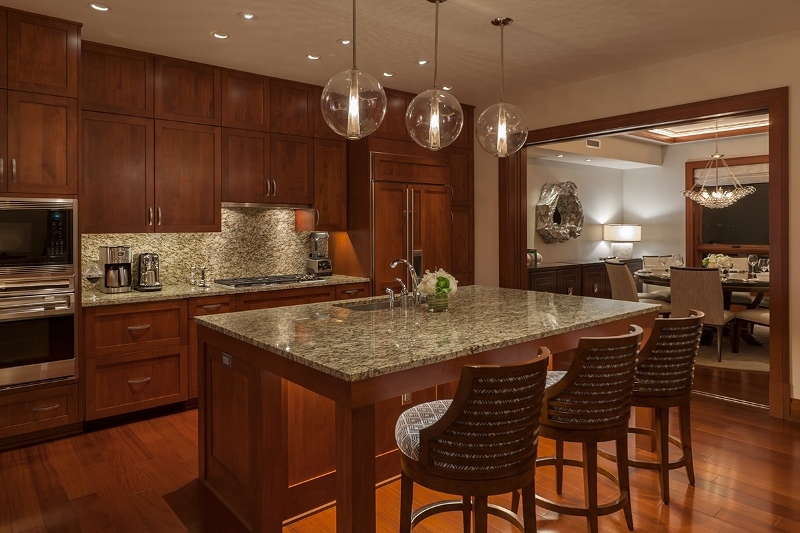 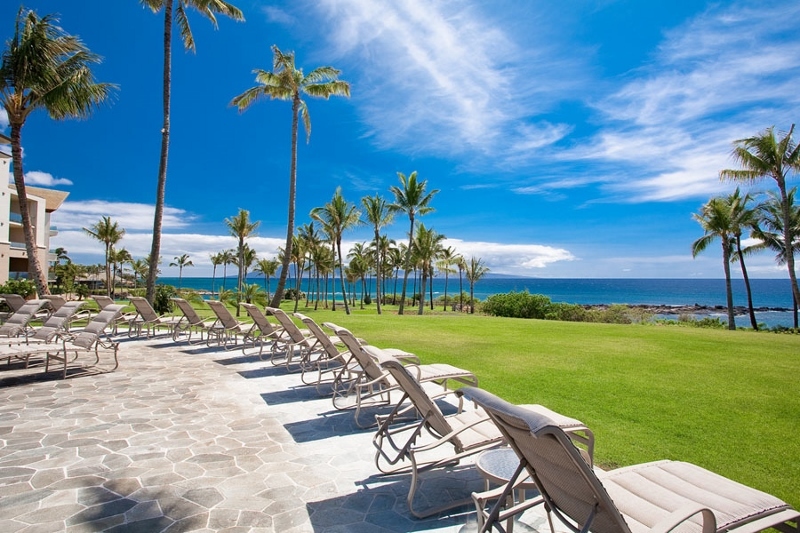 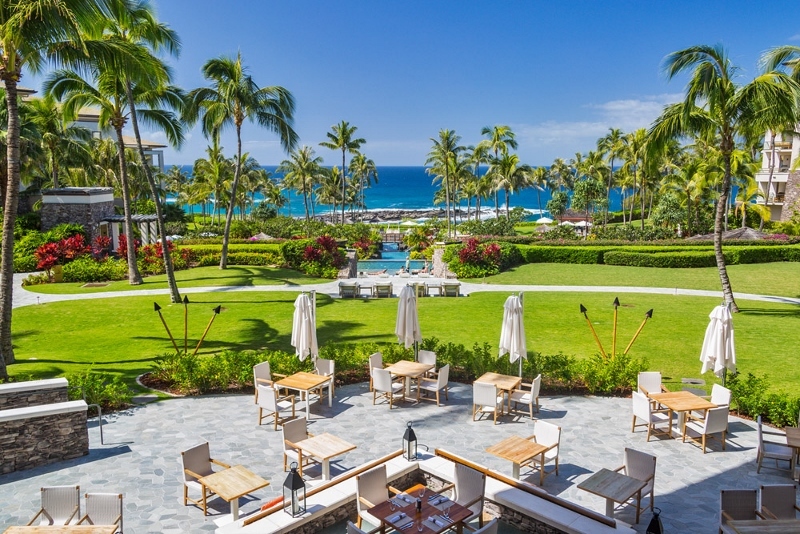 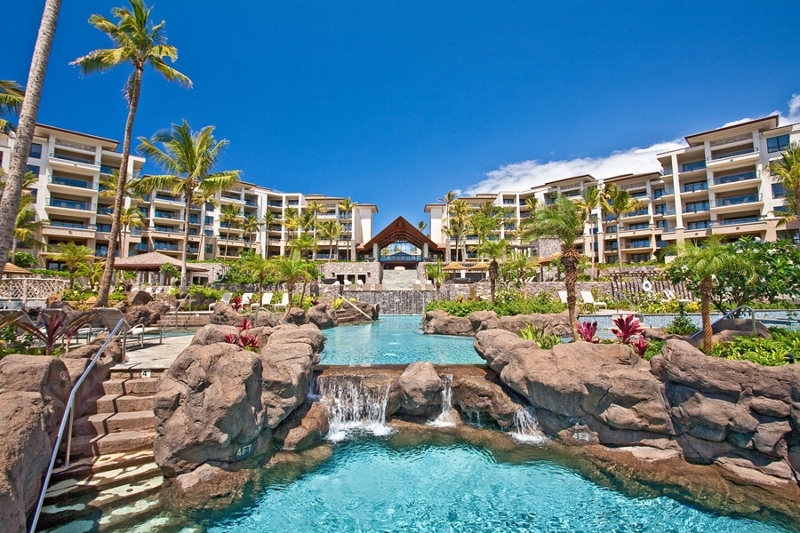 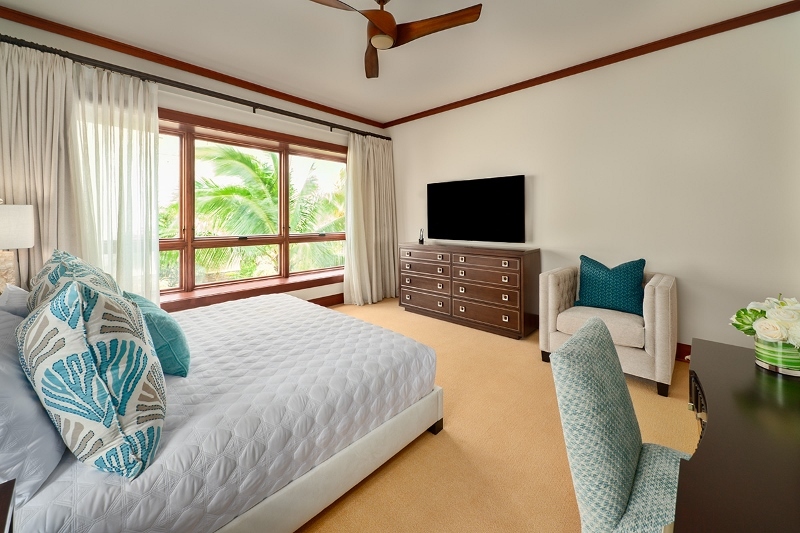 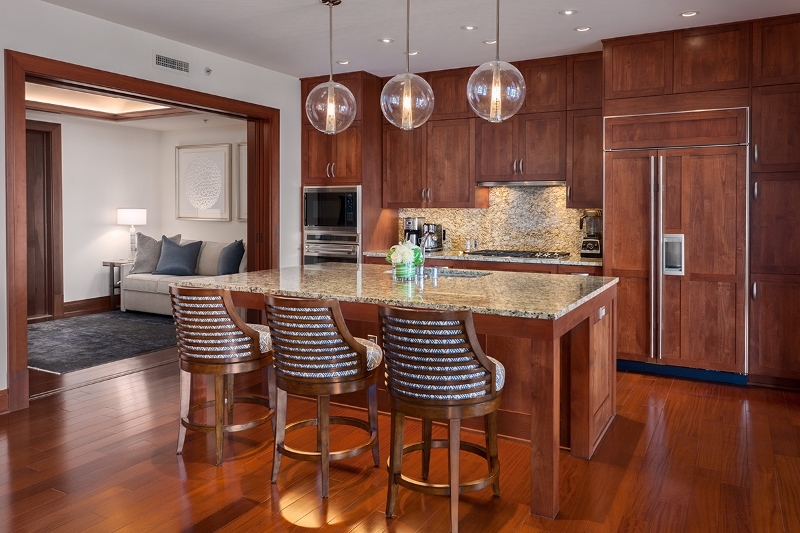 Pacific Pearl Grand Residence 5401 is truly “the pearl” of Montage at Kapalua Bay Residences. 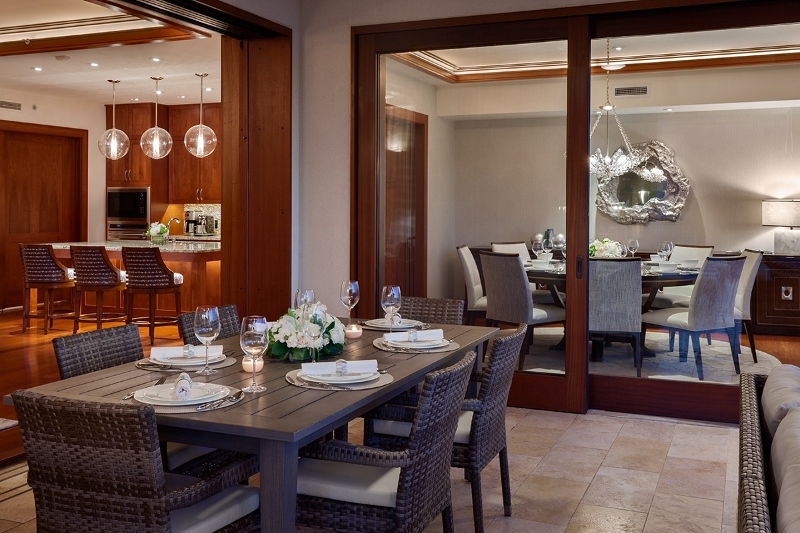 This exquisite residence has just been lovingly assembled by a thoughtful family that spared no expense to create its magical ambiance. 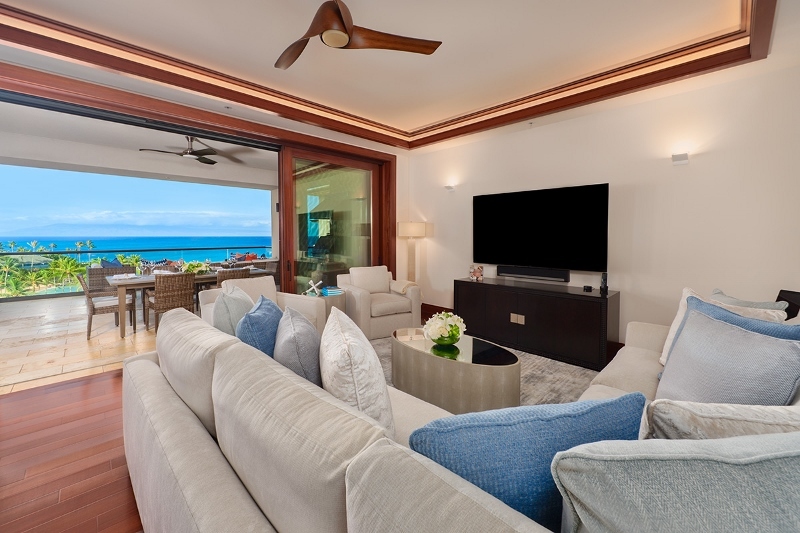 A contemporary styled residence, intentionally designed to offer a lighter and fresher guest experience when contrasted with the many tropical themed options still offered on Maui Island, the “Pearl” showcases calm warm neutral interiors with pops of richly pigmented blue-toned wall art accented by softly sparking mother of pearl, glass and silver touches. 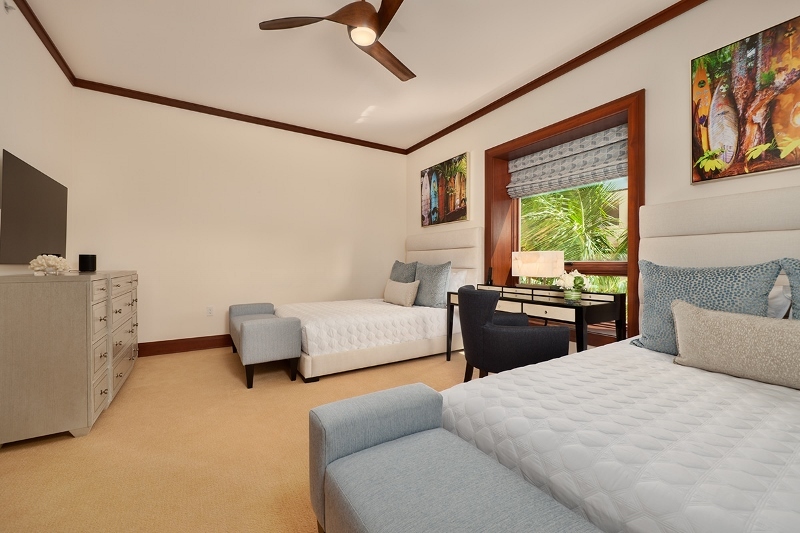 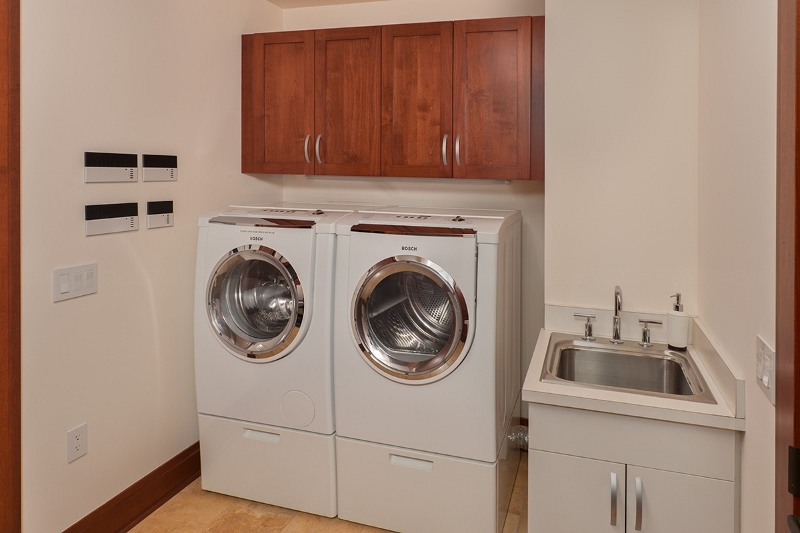 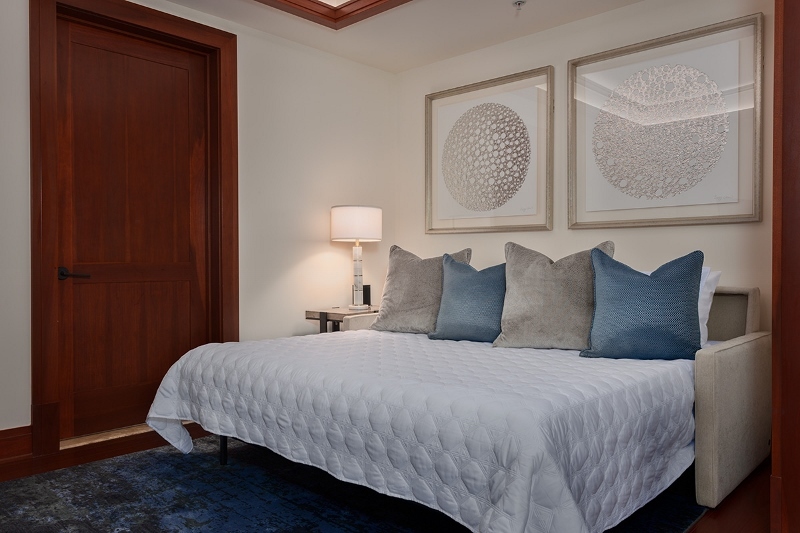 Experience harmonious living where you can wind down and create relaxing moments in peaceful soothing surroundings. 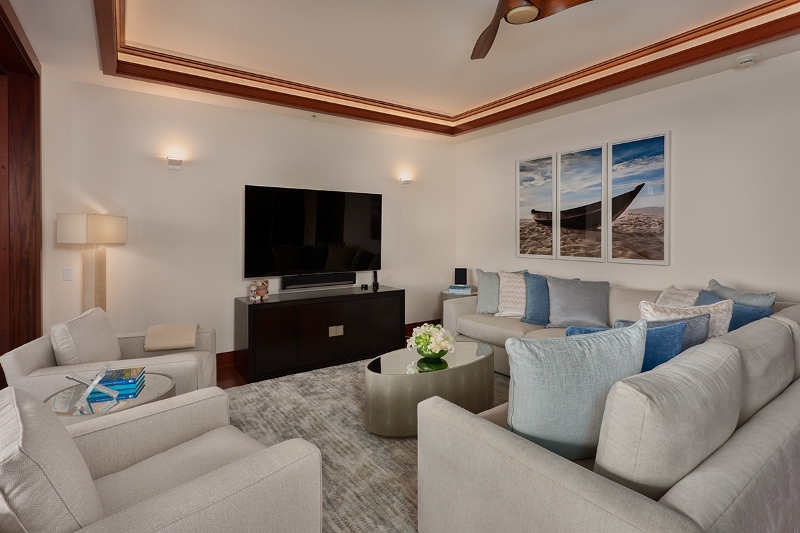 Make the most of your spacious private home complete with a generously equipped kitchen, two dining areas, full laundry center, multiple work-stations, spacious outdoor alfresco veranda, and impressive entertainment features. 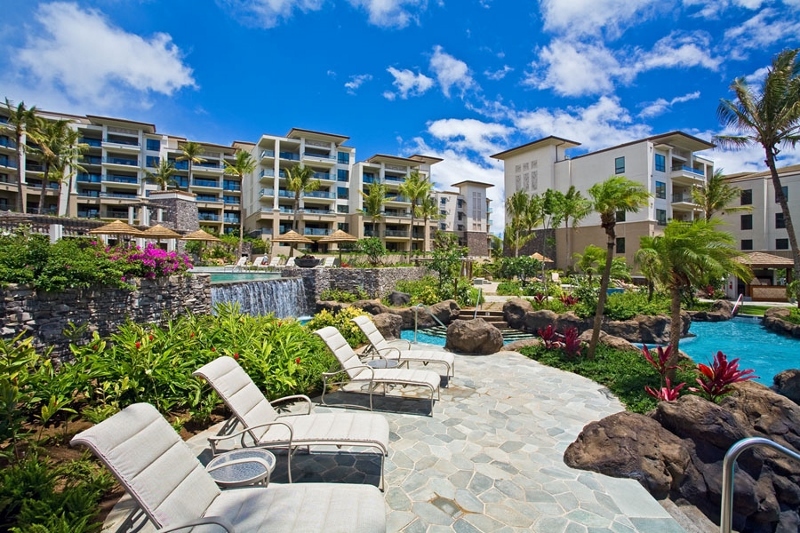 Simply put, Pacific Pearl Grand Residence truly is “Your Own Private Paradise”.